Janie from prettyandcute.com was kind enough to let me review this brand :) I've only used their beyond solution bb cream in the past so I really excited to try their other products~! 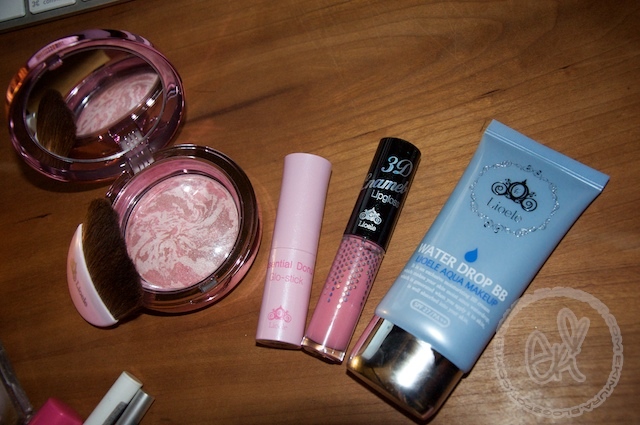 I LOVE their princess/hime packaging its is really cute~ Im a sucker for pretty packaging and best of all its not just the pretty exterior but the interior product is really great quality as well♥ so far I am totally loving the water drop bb cream very light feeling but covers really well! I'm excited to see what's in your giveaway! I recently purchased some Liole products from prettyandcute as well and I totally agree with you on how adorable the packaging is! I can't wait to read your reviews on the BB Cream. I've been looking for one. All the makeup you used have such cute packaging! Awww you look like a doll! So gorgeous--and your lashes look so feathery and natural! Really pretty and nice makeup! i'm looking forward to you review. i've always been curious about their bb cream. i also love how ur hair looks! and the lioele products look so pretty!!!!! im glad that it worked for you though. hope you'll have a lucky week ahead! & im soooooooooo glad that you recommended it to me. i really really like it! it made my eyes really stand out. I have found my HG mascara. Hi! It's a really nice look, love the eye make-up - you have such pretty eyes! Love the FOTD, it looks like an editorial shot for a fashion magazine. The background also blends well with your make up and the clothes you wore. I've been thinking of getting the dollywink eyeliner, how is it? 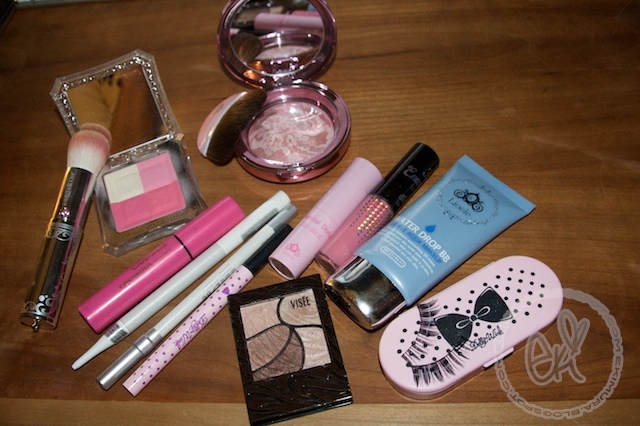 The make up is stunning and the princess packaging is so pretty! eki you look super amazing! Very pretty look! I love BB cream. great products! i love all the Dolly Wink stuff that you have used! Don’t forget to enter my giveaway for Dolly Wink prizes! You look soooo gorgeous and I love your fringe. I think it looks adorable like that. Eki, I just happened to run across your blog when looking for some kawaii images on google, and have been hooked ever since. You are definitely my source for japanese fashion magazines and makeup info. Thanks for such a wonderful resource. omgosh your skin looks flawless! !